A bright boy stripe from Tartan Hound. 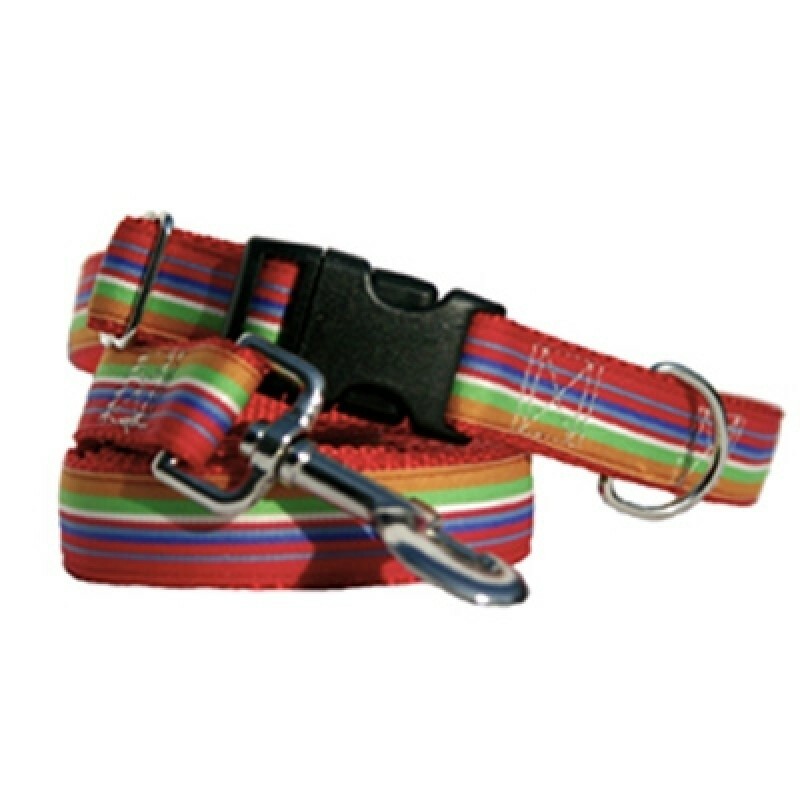 This collar & leash is constructed with durable red nylon webbing and woven ribbon. The buckle is the sporty side release, accented with nickel hardware. This design comes in sizes XS-S (3/4" wide) and M-XL (1" wide) Matching 6ft leashes in both widths are available.